Le Fabco gluasad chùis a gheibh thu reachdachadh gluasaid, sàr-mhath agus a 'fàgail freagarrach airson iomadh iarrtasan, gabhail a-steach foghlam tro mheadhan na- agus trom-dleastanas airson làraidhean dheth- agus air an rathad-iarrtasan, innealradh àiteachais, mèinnearachd uidheam agus dìon iarrtasan. Tha iad an roghainn as fheàrr airson mòran ghnìomhachasan gabhail a-steach; àiteachais, bus, togalaichean, utility, dìon, teine & teasairginn, cruinn-làimhe, port & -uidhe tractaran, càraichean rèile, trailers and trucks. At Global Transfer Case Supply we have transfer case models in stock ready to ship worldwide today. 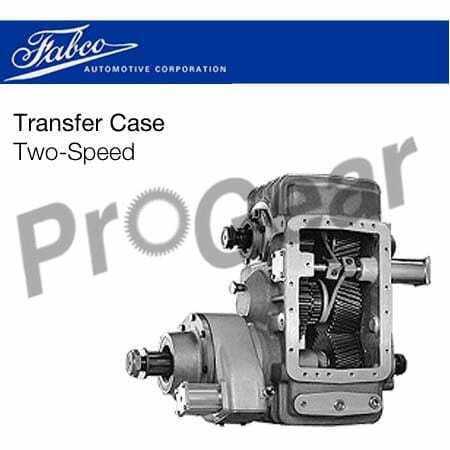 We offer new and rebuilt transfer case options in single speed and 2 luaths, gus coinneachadh a h-uile gluasad do chùis feumalachdan. Aon gairm gu dhuinn agus faodaidh sinn a thoirt seachad eadar-nàiseanta a-luingeis le aon latha seirbheis. Gluasad sam bith air ath-thogail a 'chùis ann an stoc deiseil gus soitheach Worldwide an-diugh. Aon gairm gu dhuinn agus faodaidh sinn a thoirt seachad eadar-nàiseanta shipping an aon latha seirbheis. Airson fhaicinn no download gluasad chùis diagraman, leabhraichean làimhe agus pàirtean liostaichean tadhail air ar leabhraichean-làimhe duilleag. Call an-diugh, agaibh a 'faighinn a' gluasad a 'chùis a-màireach! A 'toirt seachad càileachd Parts, Repair and Service since 1997. Tha sinn a 'tabhann aon latha luingeis, an t-saoghail.